Are you looking for a great way to start the new year? If so, there is no need to wait. 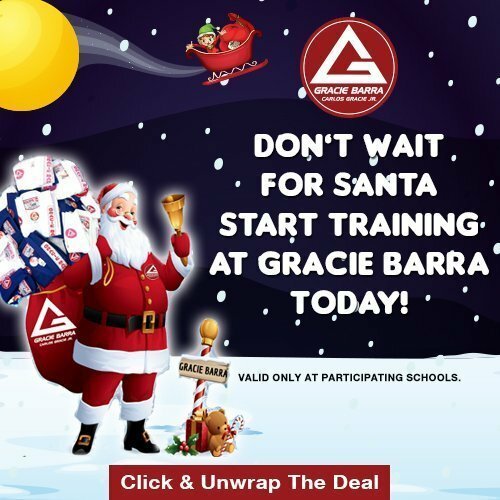 Gracie Barra Centennial Jiu-Jitsu is hosting its best holiday special ever. Limited time only – Right now, Pay only $185 and receive a GI, Rash Guard and One month unlimited Jiu-Jitsu training. This is over a $350 value for only $185. And, you can start your membership the day after Christmas if this is a gift! Don’t wait. Sign-up Today. If your not sure now. Drop in to try a free jiu-jitsu class and see if it right for you. Promotion ends on 12/24/2018. Call us at 855-548-5488 or email us at robert@gbcentennial.com to set a time today. Here is a link to our schedule.